The legend of Zion Williamson continues to the next level. 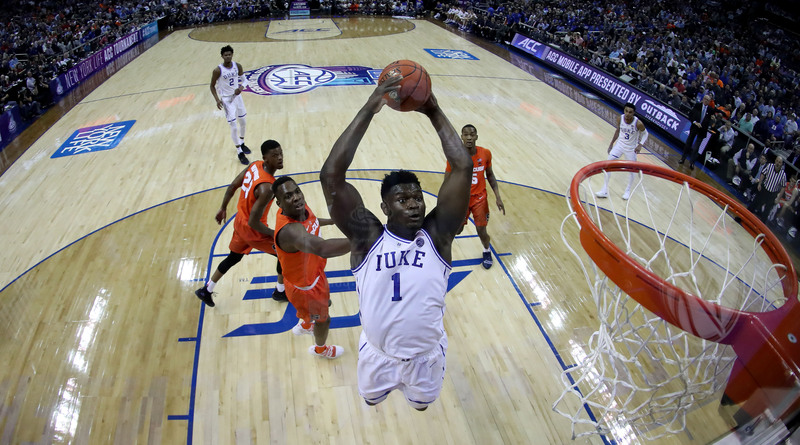 Duke is done in March Madness and the NBA is on the horizon, so Andrew Sharp and Ben Golliver of The Washington Post discuss what awaits Zion in the league. What’s the difference between Zion and LeBron? What’s his best basketball comparison? What should really be expected of him? The Open Floor podcast considers every question and more on their latest episode. Andrew Sharp: I enjoyed the Duke-Michigan State ending at least insofar as it should reframe the way we think about Zion and what he’s going to be able to do. I think his ability to operate comfortably on the perimeter is a real thing, and as the role guy in a pick-and-roll he can handle the ball, he can pass, he can get to the rim and finish and he’s going to be really, really dangerous going downhill in like four-on-three situations. The same way Draymond Green does in Golden State, but Zion is a much better offensive player around the rim than Draymond is so he’s going to be that much more dangerous. And so all of that I think is real and it’s a way to use him in the halfcourt, but he’s not the next LeBron, and I hope that everyone understands that. I imagine everyone who listens to our podcast probably does understand that, but as famous as he is and as real as this phenomenon has been… I guess, let me put it this way: I think that Zion is the next LeBron is that he has met some of the craziest expectations we’ve seen in 20 years, and in fact he’s actually exceeded those expectations. And Zion is the first person to do that since LeBron.